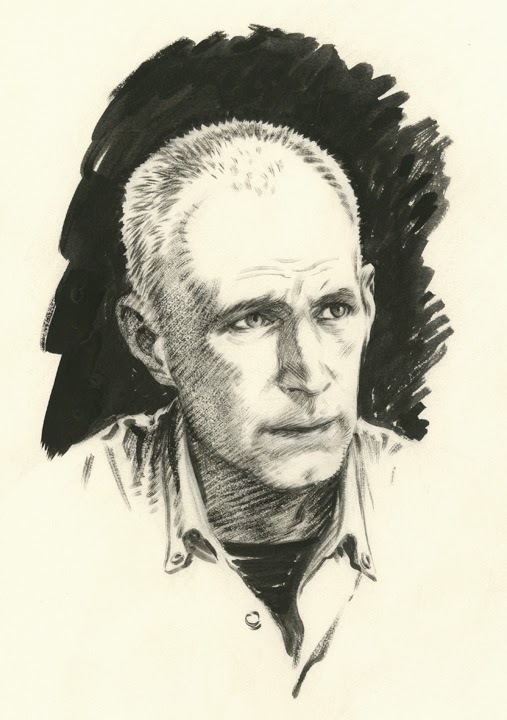 The Robert E. Howard Foundation is pleased to announce that artist Mark Schultz will be the Guest of Honor at Howard Days, June 12-13, 2015. Sponsored by the REH Foundation and Project Pride and held annually at the REH Museum in Cross Plains, Texas, Howard Days is a two-day celebration of the life and works of author Robert E. Howard. Mark is well-known as the illustrator for the first Wandering Star pure REH text Conan edition, The Coming of Conan. His paintings, full-page drawings, chapter headings and spot illustrations fill this volume with a clean, energetic and stylistic imagery. Other Howard work that Mark has done include the covers to Worms of the Earth (Cross Plains Comics), The Colossal Conan (Dark Horse Comics) and the Adventures in Science Fantasy volume for the REHF Press. One of Mark’s designs is used on the REH Museum t-shirt. And, as it turns out, his very first professional comics work was inking the pencils of Val Semeik’s Kull story in the Savage Sword of Conan #132. Mark will also be doing the artwork for the special souvenir postal cancellation stamp for Howard Days this year. The annual Robert E. Howard Days celebration will take place at the REH Museum in Cross Plains, Texas, on June 12th & 13th, 2015. 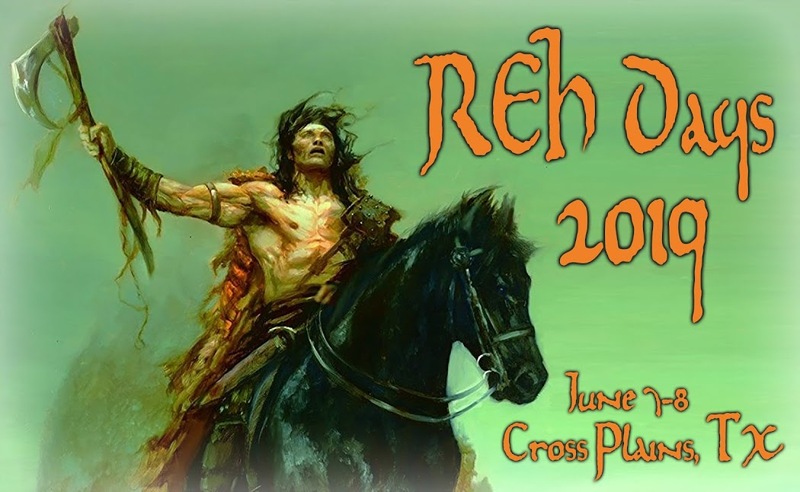 Sponsored by Project Pride of Cross Plains and the Robert E. Howard Foundation, the two-day event promises once again to be THE place to be for fans of REH. All of the activities associated with Howard Days are in place: tours of the REH Museum & Grounds, the Celebration Banquet and Silent Auction, the Bus Tour of Cross Plains, the REHF Awards presentation, panel s of REH interest and the many extemporaneous discussions and poetry readings among Howard fans and scholars, the Caddo Ranch Barbeque, the Swap Meet at the Pavilion, the special Postal Cancellation souvenir – all this and more await you at Howard Days. We’re also in discussion about some new events: an organized tour to Howard’s gravesite in Brownwood, a REH trivia contest (with prizes! ), plus a more “formal” program booklet to have for another nice souvenir. For those of you interested in getting on the Howard Days/Project Pride mailing list, please write to Project Pride, POB 534, Cross Plains, TX 76443, e-mail: Projpride@aol.com, or check the internet: www.rehfoundation.org, www.rehupa.com or the Robert E. Howard Days Facebook page for additional information. January 22nd is Howard's Birthday!